The National Arts Council funding of air tickets for the ARROWSA Indaba Congress Plymouth 2015 facilitated the training and sharing of knowledge and skills specifically regarding Applied/Community Theatre for ARROWSA facilitators, co-ordinators, facilitators and participants as well as UKZN drama staff and students who physically went to the United Kingdom and those who remained in Durban. “Firstly I’d like to take this moment to thank the sponsors for giving me the opportunity to have been able to attend the Indra conference in Plymouth UK. It is so difficult for me to say what truly the highlight was because; having been able to travel for the first time in an airplane to places I was only able to dream of. That for me was the highlight. Meeting and interacting with new faces and people of colour was amazing. It was amazing to see how similar Durban was to London in terms of architecture and design, Plymouth itself shares some similarity to Durban regarding the beautiful seashore. I was able to develop my skills in drama and whereby it was useful to incorporate in my life as a youth. I built more confidence being amongst my peers and those who were older. I was able to challenge other elements in arts which I am not familiar with e.g. we were invited to audition for the Barbican Theatre doing contemporary dance. I learnt to be able to use my imagination irrespective of how obscene it sounds. I was happy to share my skills of singing and being musically talented. My peers were just as talented and enthusiastic about music so it was so easy to share our skills with one-another. It was a joy to hear about how much we had in common as young people and how difficult it is to be a youth of the 21st century regarding different issues e.g. stress, pressure to succeed. We were able to brainstorm ways in which to curb these issues. I was also able to share my leadership skills to help those who struggled to lead their peers. -The drama workshop (at the Barbican Theatre) – The drama workshop was exhilarating. I learned so much about body language and using your whole body in theatre. We did multiple exercises including one where we were given a word and told not to ‘DO’ the word but ‘BE’ that word, it was difficult but what I took away from it is the importance and effectiveness (in theatre) of ‘Being’ a character rather than just ‘doing’ it. 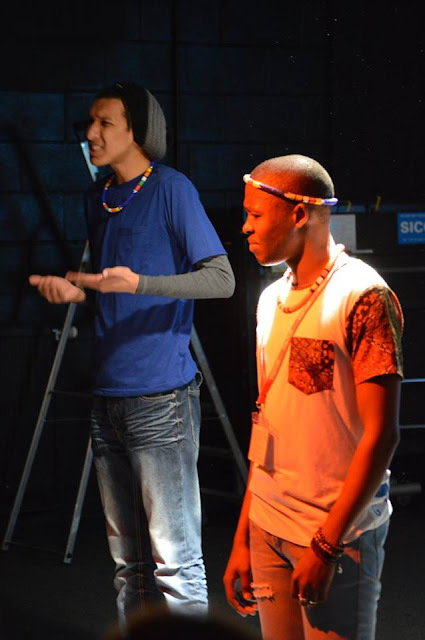 It was a great lesson in Physical theatre, something we did not focus on in ARROWSA. -The dance workshop (at the Barbican Theatre) – A really intense workshop that I did not take part in but I learned a lot from watching. Dance involves so much trust not only with the partner you’re dancing with, but also trusting yourself. I got to see how contemporary dance can tell a story. -The Barbican Theatre- There’s an amazing feeling you get when you stand on the stage at the Barbican Theatre, as an artist it just feels like ‘home’. The theatre has such a rich history and everybody is so passionate. At one point we sat in a room full of dancers getting ready to audition. One would expect it to be very serious and intense but it was fun, we all interacted as if we’ve known each other for a long time and even played a game and shared jokes and laughed. -London- An absolutely stunning city with the most amazing architecture I’ve ever seen. We got to tour the city via the HOP ON HOP OFF bus and learned so much about the history of London. We got to visit The National Gallery and see famous paintings and statues and also learn a lot about the people in those paintings who helped shape the history of the country. We attended a Japanese festival and took many pictures. -Stoke Damerel Community College- it was great seeing the youth at the college and meeting the INDRA group and interacting with them as well as performing and watching them perform. We all participated in an exercise where we were split into groups and asked to write the first word that came to mind when we hear the word ‘environment’. After we all had written our words down we then had to create a piece using those words. In my group specifically, we had a homeless man as “the environment” and multiple people walking past this homeless man. One person threw dirt at the homeless man and stole his valuables (Pollution & abuse of resources), another tried to help but had a friend telling them it isn’t worth it (feeling like your attempt to help the environment is futile), and the last person offered to help the man. Our aim was to make the issues understandable and more personal. The other groups also had different perspectives on the topic. -TR2 – A big highlight of the trip was touring the amazing TR2 and getting a behind-the-scenes look at a huge part of theatre productions; The sets, the costumes, the wigs and many more. We also had a workshop with Alix which was amazing! It focused on issues of the environment. We each wrote sentences about certain issues on the topic of ‘environment’ and swapped pages, we then walked around the studio creating still images that related to the sentences being recited from each other’s pages. Overall I learned many great skills that helped me understand drama and dance so much better as well as techniques to better myself as an actor and poet. I’m glad I got to share my opinion on important issues such as racism and the environment and meet great people. “One of my highlights was working with Stoke Damerel College – observing the structure of the school and learners. 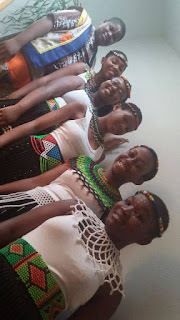 The approximately 150 x Grade 7 learners for whom we performed were very excited and pleased with our performance. They asked questions about our youth’s challenges and how our youth cope with these. They identified with some of our challenges e.g. racism but not with issues such as teenage pregnancy. We also worked with the Indra Group at this school. I learnt many skills on the trip e.g. theatrical by working with the Barbican Theatre specifically regarding exercise routines for identifying the strengths of performers before auditioning. Through the exercises e.g. dance or drama I found that the performer could identify for themselves where their strengths lie. The exercises that Alix and Mark used at the Barbican Theatre are skills that I will be able to transfer back to the ARROWSA Bechet group. Skills developed were also due to visiting three theatres: watching a performance at the Royal Theatre and participating or observing workshops at the Barbican Theatre. I personally found it very helpful to observe and take notes in the workshops from a directing perspective. From this I learnt directing skills specifically regarding dealing with a large group through the inclusion of discipline and structure. Challenges faced on the trip were mostly the gelling of the group itself who come from diverse interests; Suggestions for overcoming this in the future is to focus on communication channels that will ensure respect. 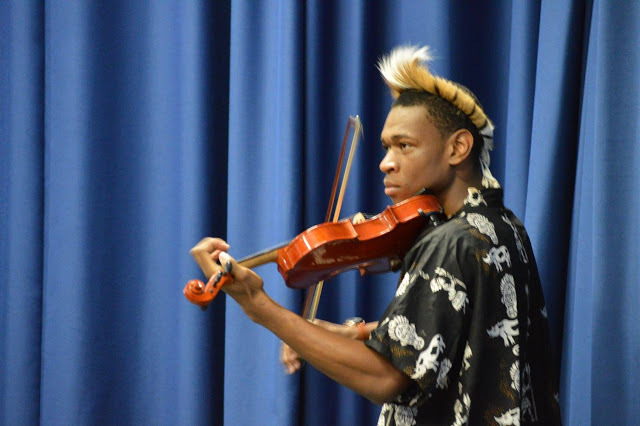 Bheki secondly was able to pay-it-forward what he had gained from the September 2015 trip to Indra Plymouth due to winning the educator to accompany eThekwini Natural History Museum’s Passbook Competition secondary school winners to Bremen in November 2015. His selection as the winning educator was directly linked to the experience that he had gained in attending international ARROWSA Indra congresses in 2013 and 2015 that airfare were funded by NAC. 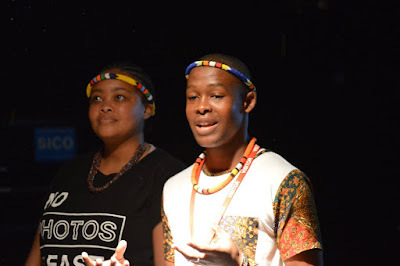 Not only did he accompany the group but he also devised and directed the performances that they presented at the “Night of the Youth” that were very successfully performed in Bremen. Mary Lange had also used her increased skills gained in July to voluntarily advise the Bremen group and Bheki in final rehearsals. Bhekithemba Dlamini will continue to pay-it-forward in his voluntary capacity as the co-ordinator of the ARROWSA Bechet project. 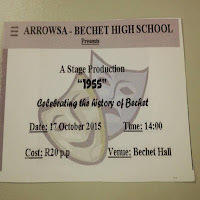 the meantime they have supported ARROWSA Bechet in the ‘55’ production through social media marketing and coverage of the event. Darnelle further shares his talent for poetry writing by publishing this on the ARROWSA Facebook page and encouraging the participants to continue to attend ARROWSA Bechet, as he and Tshiteya did for their entire secondary school years, and to use the arts for intra and interpersonal development. Bhekithemba Dlamini in his voluntary capacity at ARROWSA Bechet transferred skills and knowledge learnt to two groups of Durban youth. 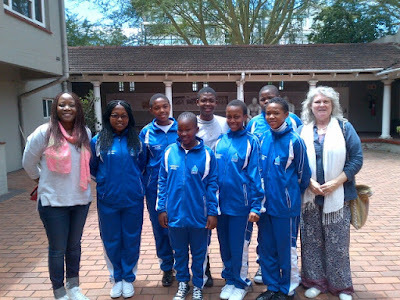 Firstly he transferred to the ARROWSA Bechet youth who meet weekly at Bechet High School. Specifically the directing, auditioning and movement skills gained when at Plymouth Indra and the Barbican sessions he implemented in the devised production that he directed titled ‘1955: Celebrating the history of Bechet’. 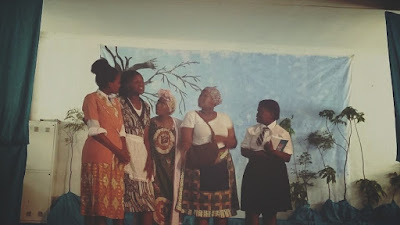 The production was performed at Bechet High on the 17th October for school learners, the community and the general public.